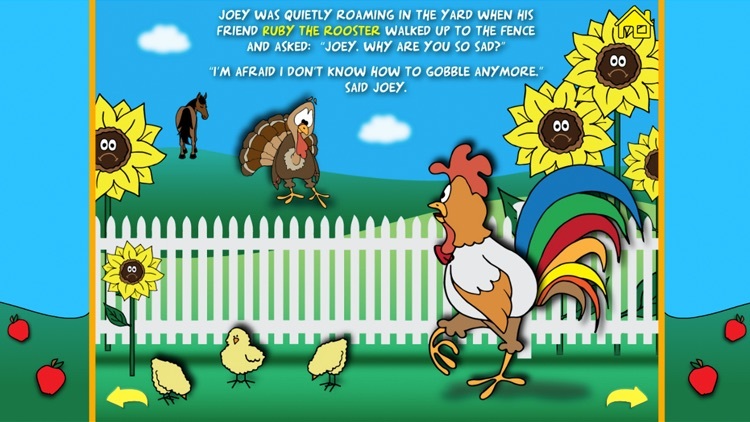 Joey the Turkey forgot how to gobble and his barnyard animal friends are there to help. Children and early readers will gobble up this cheerful interactive story about friendship, and how friends will always be there when you need them. 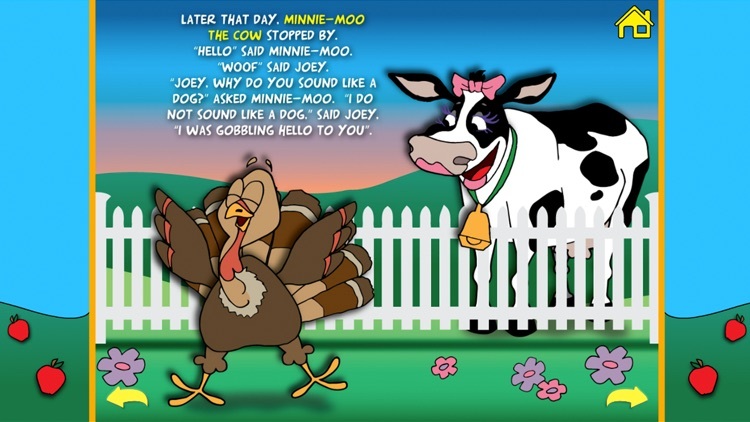 Joey's farm animal friends who come to the rescue are: Rooster, Dog, Minnie Moo the Cow, Cat and Gillie the Turkey. This read along interactive storybook is a fun way to practice animal sounds and is perfect for pre-readers, young readers and elementary students alike. Programmed in both English and Spanish, the reader can easily choose the language with a simple press of the language icon. 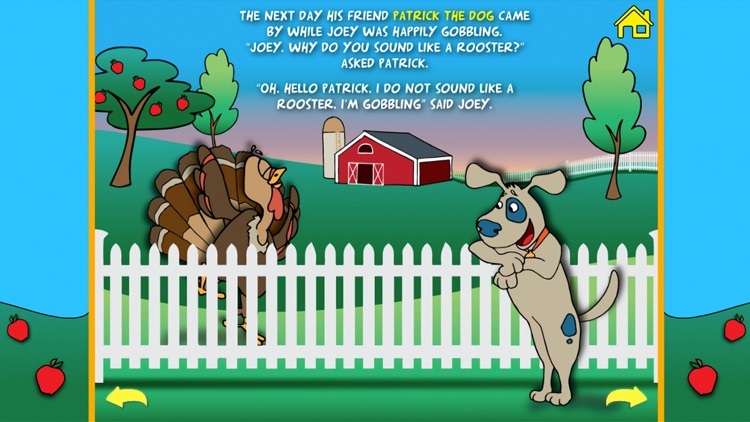 Read and learn how each barnyard animal tries to teach Joey how to gobble. Are they successful? Does Joey learn how to gobble again? 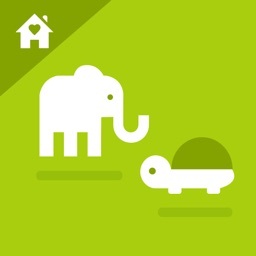 Download the app to find out! 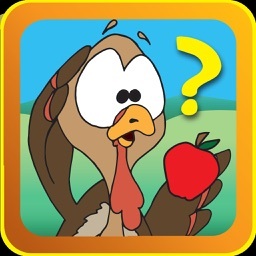 It is a fun way to learn and practice animal sounds. 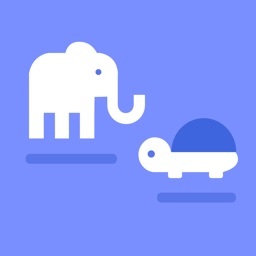 Kids love animals and hearing the animal sounds when the animation is activated. Kids have loads of fun repeating the farm animal “gobble” and feeling as though they too are helping Joey along the way. 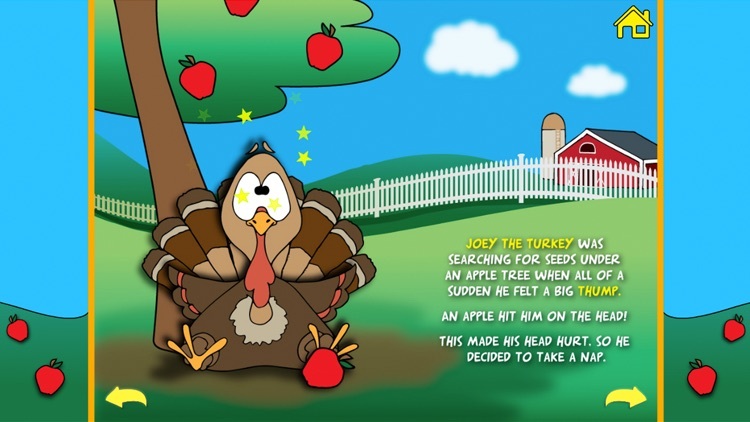 Young children become quickly engaged with the lively animation and interactive ways each animal friend tries to help Joey gobble. Parents love having the option of introducing Spanish to their children in a fun way! - In English and Spanish. Choose the language with a simple press of the language icon. 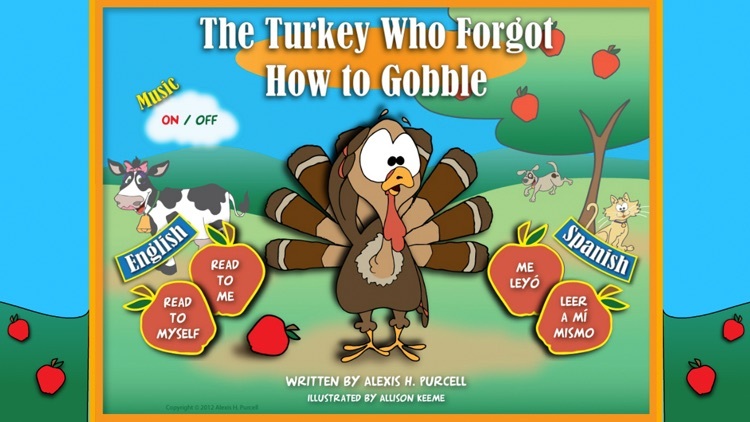 -Available for FREE to educators is the award winning Playlet of the book, plus “fun facts and jokes”, and coloring pages for young ones! 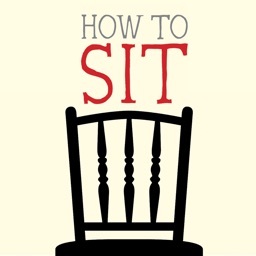 Visit the author’s website to learn more. 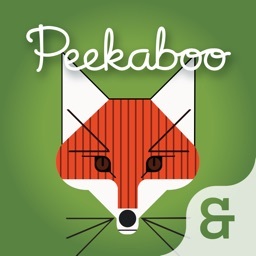 •	Ranked #1 in iTunes Paid Book Apps – November 2014! 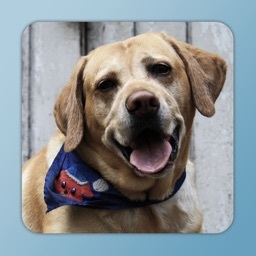 •	Consistently ranked as one of the top apps in iTunes Paid Book Apps each November. Privacy is an issue that we take very seriously.